Â· It covers 82,000 square kilometers or 31,700 square miles. Â· The average depth is 147 meters or 483 feet. 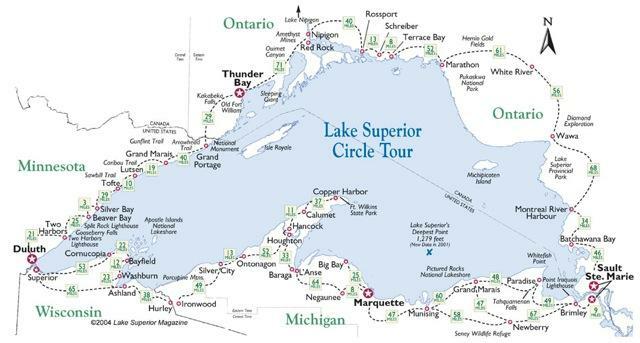 Â· Lake Superior is, by surface area, the largest lake in the world. combined, plus three extra Lake Erie 's!! of the earth's youngest major features at only about 10,000 years old. Â· The deepest point in the lake is 405 meters or 1,333 feet. Â· There are 78 different species of fish that call the big lake home. line, it would be long enough to reach from Duluth to the Bahamas ..